In loving memory of the Rev. 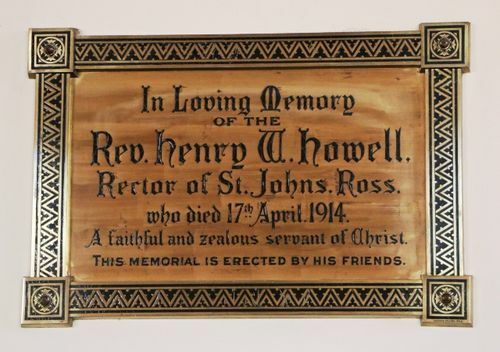 Henry W. Howell, Rector of St. Johns, Ross, who died 17th April 1914. A faithful and zealous servant of Christ.